Discussion in 'Defence Analysis' started by Bloom 17, Jul 3, 2017. I hear there's so much troop movement from our side and also locals are being moved away. Should I tell my dad that a war is a possibility and so sell all shares by 18th?? Are you crazy..why do you wanna sell all the shares? If you want to make profit dilute them now and wait till something happens. First day the conflict start buying gov holding shares. They will start sky rocketing from third or fourth days. Atleast this time there is no panic in the country to learn chinese "chini aa rahe hai"
That's because the government is showing maturity and not underplaying it. Congress would have given in by now. Chinese and Indian troops are readying themselves for a possible armed conflict in the event they fail in their efforts to achieve a peaceful resolution to their border dispute on the Doklam plateau in the Himalayas, observers said. On Friday, India’s defence minister Arun Jaitley told parliament that the country’s armed forces are “prepared to take on any eventuality” of the stand-off, Indian Express reported the same day. Sources close to the Chinese military, meanwhile, said that the People’s Liberation Army is increasingly aware of the possibility of war, but will aim to limit any conflict to the level of skirmishes, such as those contested by India and Pakistan in Kashmir. Another military source said that officers and troops from the Western Theatre Command have already been told to prepare for war with India over the Doklam crisis. Both sources said that China’s military believes any conflict will be controlled, and not spill over into other disputed areas, of which there are currently three along the 2,000km border between the two Asian giants. However, Indian defence experts warned that once the first shot is fired, the conflict may escalate into full-scale war. That in turn could result in New Delhi blockading China’s maritime lifeline in the Indian Ocean. 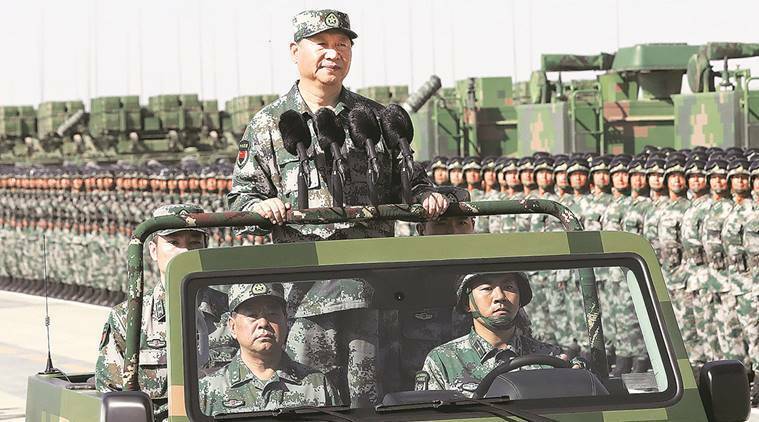 “Any Chinese military adventurism will get a fitting reply from the Indian military,” Dr Rajeev Ranjan Chaturvedy, a research associate at the Institute of South Asian Studies at the National University of Singapore, told the Post. “Certainly, it will be detrimental for both, but if Beijing escalates [the conflict], it will not be limited. Perhaps, it may extend to the maritime domain as well,” he said. 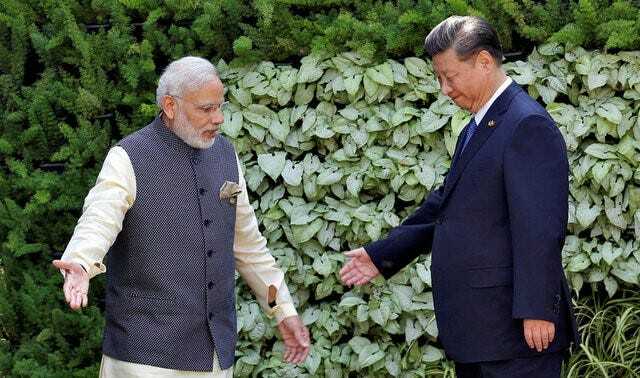 “If China engages in a military offensive against India, New Delhi will take all necessary measures ... [and will] respond to Chinese actions in its own way. Why only a border war? It could escalate to a full-scale India-China war,” he said. China is heavily reliant on imported fuel and, according to figures published by state media, more than 80 per cent of its oil imports travel via the Indian Ocean or Strait of Malacca. 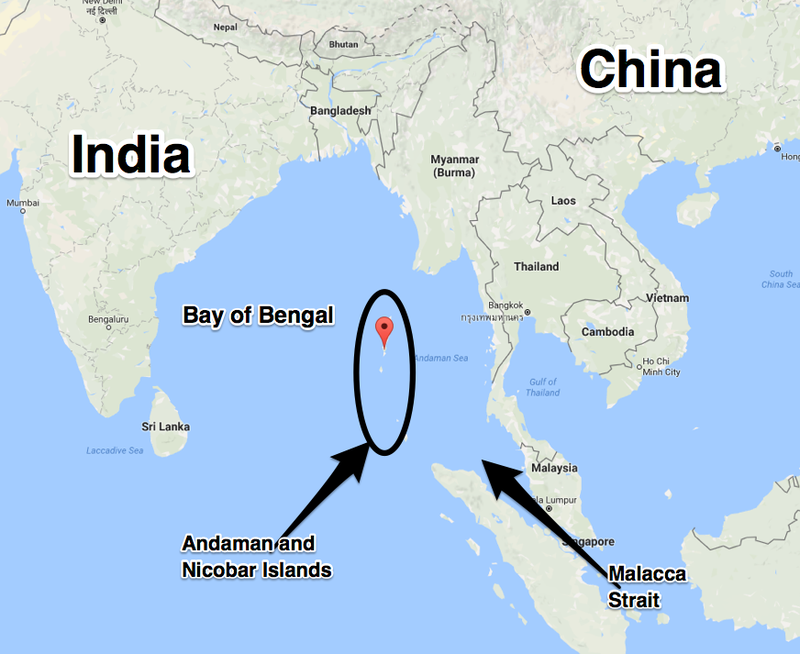 Beijing-based naval expert Li Jie said that India in 2010 established a naval base in the Andaman and Nicobar Islands, close to the Strait of Malacca, where the narrowest sea channel is just 1.7km wide. “Since 2010, India has also upgraded two airstrips on the islands to serve fighters and reconnaissance aircraft,” he said. In July, India, the United States and Japan completed their 10-day Malabar 2017 naval exercise in the Bay of Bengal, while around the same time the US approved the US$365-million sale of military transport aircraft to India and a US$2-billion deal for surveillance drones. As a result, the Indian navy now has eight Boeing P-8A Poseidon submarine hunters patrolling in the Indian Ocean. Chinese and Indian troops fought a war in 1962 after a series of skirmishes heightened tensions on the border. That conflict ended largely in a stalemate, despite China’s large military advantage. However, Chaturvedy said that India has learnt lessons from its past mistakes and is now better prepared to defend itself against China. Macau-based military expert Antony Wong Dong said that both sides have underestimated each other. “If the border conflict expands to the sea, it will be very difficult for the PLA to defeat the Indian navy, whose capabilities are much stronger after the purchase of the P-8A Poseidon submarine hunters,” he said. snehil aditya and sangos like this. There are no 'offensive military movements' other than constructing bunkers in Tibet. We have responded in kind at the LAC. The only 'war offensive' so far has been crude and retarded Chinese propaganda. GSLV Mk III and snehil aditya like this. Guys! This is the Example of LOW IQ, Moronity, and Stupidity of Average Chinese. Above All their Racist Discrimination and Hate towards Indians. This is how, the Chinese Media, New Anchors, Defence Experts, Think Tank behaves. Just like this Chinese Lady. And when the time comes for Serious Confrontation, they RUN FOR EXIT. China’s great strength is part steel and part illusion. The dragon may indeed breathe fire — but it has enough teeth and claws missing to not want to fight. Loose-cannon special forces officer Leng Feng emerges from his seaside retreat, to the applause of a grateful nation, when a cartel of arms dealers and mercenaries begin to lay waste an impoverished African country. Fighting to save aid workers and innocent civilians, he fights his way past the enemy with underwater kung-fu, evades an armed drone and destroys battle tanks. The plot of China’s highest-grossing blockbuster, Wolf Warrior II, seems familiar, because it is: this is Rambo with Chinese characteristics. Few in the audience today would recall Li Cunbao’s 1982 novel, Gaoshan xia de huahuan (‘Wreaths of flowers at the foot of the mountains’), which tells the story of the soldiers who fought China’s last real war. The brave company commander at the centre of the story leaves his wife and baby a frock, used uniforms, and a debt of $ 380 — 10 times his pay. Even fewer would have seen Tamen zheng nianqing (‘In their prime’), banned in 1986, a gritty anti-war film on soldiers holed up in a limestone cave, and their desperate battle to survive. The 12,192 soldiers killed in the China-Vietnam war, mainly the sons of poor peasant families, have no place in official Chinese history. The war revealed stark problems in China’s military, though, many of which continue to haunt the People’s Liberation Army. For weeks now, China has been threatening India with terrible retribution for what it claims is trespass into its lair on the Doklam plateau. There are more than a few in India genuinely worried by the aggression — part of a pattern of intimidation that has forced Japan to scramble its fighters more often than at the height of the Cold War, and sent Vietnam into the arms of arch-enemy United States. 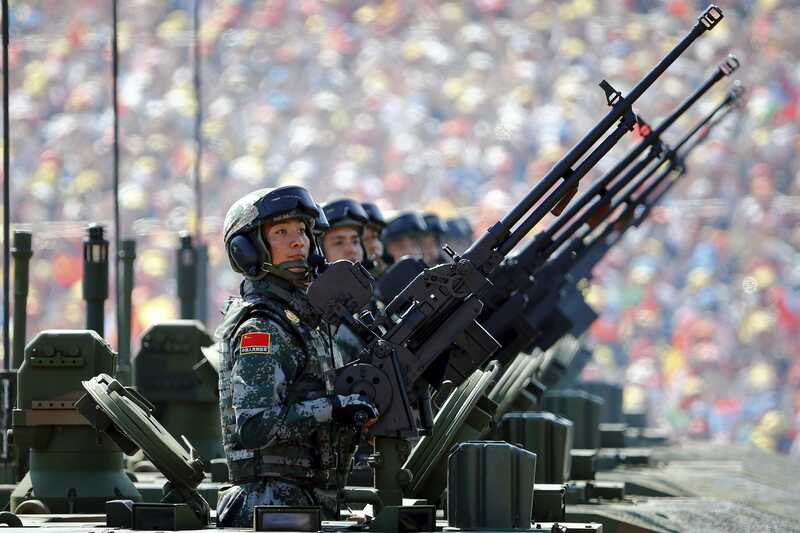 Like so much to do with military power, China’s great strength is part steel and part illusion. The dragon may indeed breathe fire — but it has enough teeth and claws missing to not want to fight. When Beijing began to wake to modern warfare in the wake of the 1984-85 conflict, the PLA was a lumbering peasant army: its main tank was the 1950s-design T-55, the bloated 3.5 million-strong military lacked modern vehicles and arms, and the Air Force and Navy were barely capable of coastal defence. The growth of the military budget — which, it bears mention, has consistently hovered around 2% of Gross Domestic Product, the global norm — has helped drag the PLA into the 20th century, but only just. 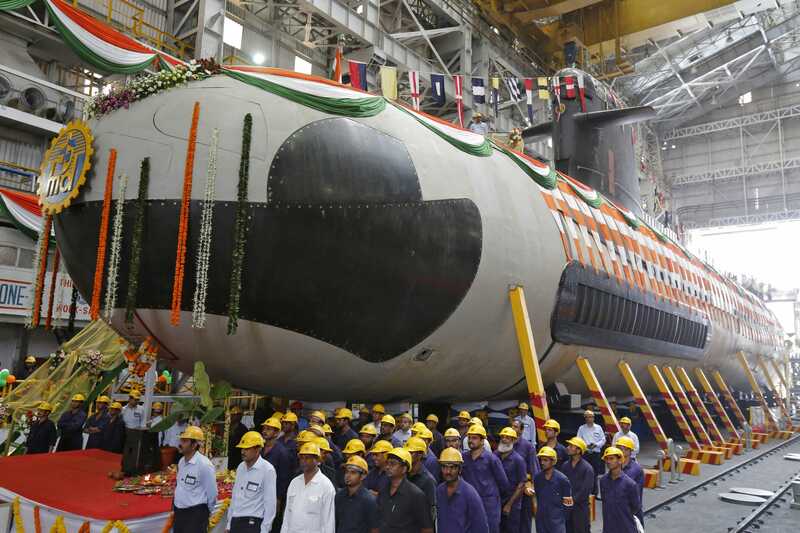 Paul Dibbs, an Australian defence expert, points out the country’s state-of-the-art Type 95 submarines will only be as stealthy as the 1980s Soviet titanium-hulled Akula-class. China’s Dong Feng 21D anti-ship ballistic missile has yet to hit a target moving at realistic speeds. Large parts of the Air Force and Navy are still made up of obsolescent types. Sikkim Impasse Explained: What Is The India-China-Bhutan Border Standoff? For years, the most critical challenge before the PLA has been transforming itself into a modern force. Impressive pay, promotion and education reforms have been made, though competition from China’s private sector has meant military service is far from the first career choice for the country’s brightest. There are more than a few, moreover, who are sceptical of the combat qualities of this new cohort of PLA officers — products of China’s one-child policy, which spawned a generation derisively referred to as “Little Emperors”. PLA newspapers are replete with stories of new recruits using boarding-school tricks like spitting out red ink to avoid training. “I’d hide under my blanket and cry every night,” former cadet Sun Youpeng, who joined the PLA after graduating from university at the age of 22, told Minnie Chan of the South China Morning Post in 2014. Liu Mingfu, a scholar at China’s National Defence University, estimated in a 2012 report that 70% of the PLA’s troops were only sons — a number rising to 80% among combat troops. In a country with a growing cohort of aged people, with ancient cultural norms against sending only sons to war, the consequences could be significant, Liu noted. President Xi Jinping, since he took office in 2013, has urged the PLA several times to “prepare for combat”. PLA journals themselves, though, a RAND Corporation study for the United States Congress recorded in 2015, are “replete with references to problems in such areas as personnel, training, education, organisation, logistics and maintenance”. Despite the battle against endemic corruption in the PLA, few believe it has been wiped out. “Let our field armies touch the buttocks of a tiger,” China’s Paramount Leader Deng Xiaoping reportedly said as he ordered the military to action in 1984, hoping to blood his troops and demonstrate “our military is still good enough”. The truth, however, was that Deng’s own economic reforms had brought about a crisis in the PLA. Xiaoming Zhang’s magisterial history of the China-Vietnam war notes that fewer soldiers joined the army during that decade than at any previous time — and were less than willing to die. In some cases, the crisis of morale bred low farce: elements of the 67th Army, on their way out of Laoshan, demanded $ 1,500 from their 47th Army replacements for all intelligence on enemy positions and firepower. In another case, an armoured unit which did not receive care packages despatched its tanks to surround an infantry division headquarters and demand its share. Like in India, there is no shortage of voices in China that appear not to see the distinction between strategic analysis and Wolf Warrior II: articles advocating short, sharp wars to settle the country’s border conflicts are commonplace in the media. For serious Chinese thinkers, though, that line of action comes with serious risks: failure to achieve a decisive victory would not only embarrass the PLA, but also dent the credibility of the political leadership and encourage Beijing’s regional adversaries to engage in further acts of defiance. In the long term, China may indeed become a military adversary its regional adversaries will have to defer to — but that time is not now. In 415 BC, Athenian hawks made the case for invading Sicily by insisting that “it has always been the law that the weaker should be subject to the stronger”, an argument that will be familiar in Beijing today. On the disaster that followed this hubris, the historian Thucydides wrote: “Sicily would fear us most if we never went there at all.” This, he explained, was because “that which is farthest off, and the reputation of which can least be tested, is the object of admiration”. For China’s strategic community, these ought be words to ponder: in war, unlike films, the end of the story is impossible to script. randomradio, Hellfire and sangos like this. Hellfire, sangos and madmax613 like this. Just replace China and few conditions, holds for Indians too. randomradio and lca-fan like this. They may engage in artillery fire/local skirmish around October-November now as a face saving measure. nair, GSLV Mk III, surya kiran and 1 other person like this. Its the loser so-called 'left propaganda intellectuals and media' and 'CONgress' who are absolutely certain that the Chinese are 10 feet tall. Now that fallacy has been corrected and laid to rest, they are jumping out of their skins in disbelief. Whats so surprising to write ...“I’d hide under my blanket and cry every.... Han Chinese are NOT a martial race. Their cherished "Qing rulers" are Manchu invaders from Manchuria. Why do you think Bodhidharma had to invent Gong Fu to toughen up the Buddhist monks? Here yogis do hatha yoga. Would not have worked in China. GSLV Mk III and Hellfire like this.